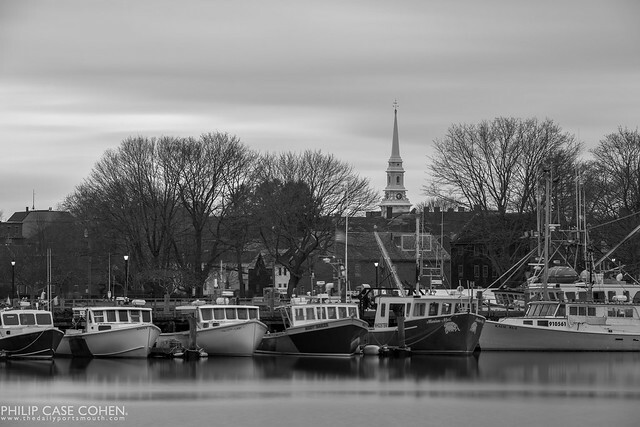 Another image from the familiar scene at Portsmouth’s Commercial Fish Pier in the South End. Looming in the background is the North Church and to the far left you can spot The Music Hall’s theater roofline. I decided to take a more classic approach to this scene, as I imagine it hasn’t changed much in the past few decades.